RAYGUN ROADS WINS NOTHING AT BRITISH COMIC AWARDS! 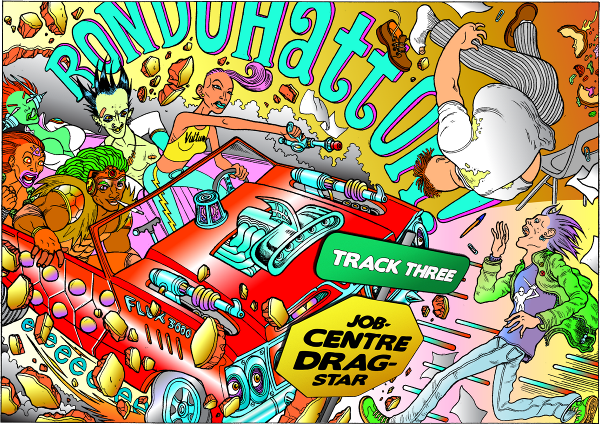 Raygun Roads won absolutely nothing at the 3rd Annual British Comic Awards Ceremony. Taking place on Saturday 15th November in the Royal Armouries Bury Theatre in Leeds as part of the Thought Bubble Festival, the judging panel consisted of Jonathan Entwistle, Jessica Hynes, Danny John-Jules, Jonathan Ross and Suzy Varty. The Best Comic was selected from a longlist of more than 100 comics published in the UK over the last 12 months. We would like to thank the BCA Committee for being kind enough to put the rantings of a bunch of madmen in the shortlist and the judges for doing the right thing. Vince Paradise, the comic’s protagonist, couldn’t be reached for comment, as he is an imaginary character no matter what Owen Michael Johnson says. If he existed, though, he would probably have chosen to distance himself from the whole project after tonight’s debacle. Regarding the events after the ceremony, we would like to take this opportunity to clarify that not a single member of the creative team is currently being held by the police. We at Changeling Studios, having witnessed the half-assed effort that the creative team put into the book, couldn’t be happier about not winning. Lesson well learned for the future for Owen Johnson, INDIO!, Mike Stock and Andy Bloor. We were clearly too soft with you, get ready for THE PAIN! 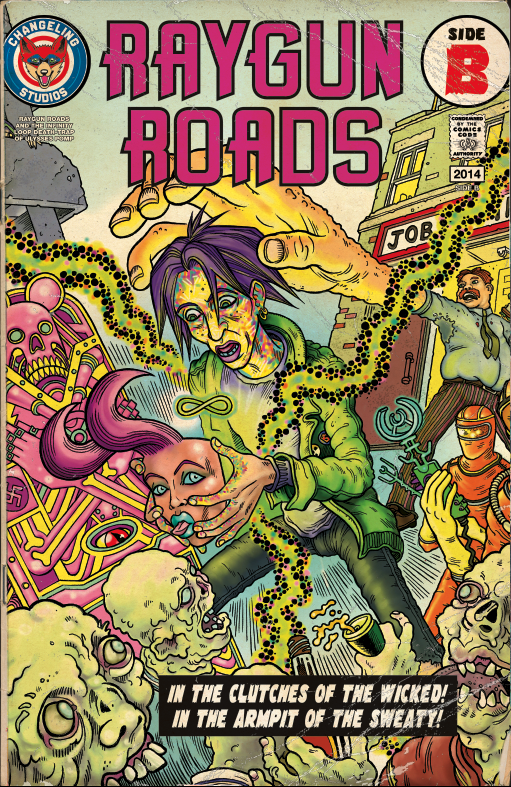 In case anyone still cares, Raygun Roads & The Infinity Loop Death-Trap of Ulysses Pomp is a psychedelic science fiction comic concerning a fictional pop culture messiah, Raygun Roads who – along with her cosmic punk band The Kittelbach Pirates – kidnaps the teenager that invented her. Raygun Roads & The Infinity Loop Death-Trap of Ulysses Pomp can be read online for free at http://raygunroads.com and you can pick up a copy of the brand-new 3rd printing on tables #161 (Dogooder Comics) or #190 (Orbital Comics) of New Dock Hall at Thought Bubble and select comic stores nationwide. If you don’t seem to find it, fear not! 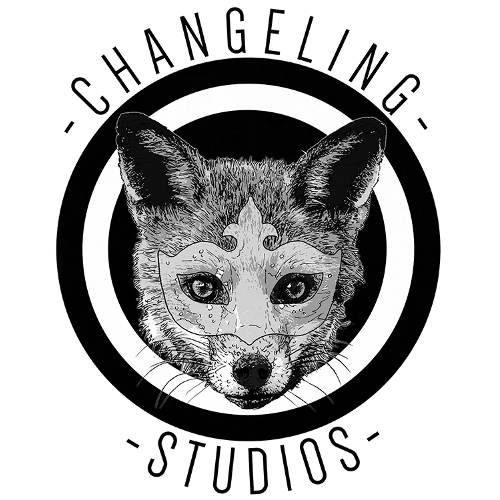 We will make it available online through http://changelingstudios.com soon. This entry was posted in PROPAGANDA on November 15, 2014 by raygun. ← Party With The Pirates!